Attention urban cowboys and cowgirls: Factory Finish Shoe Repair is your Dearborn, Mich., destination! 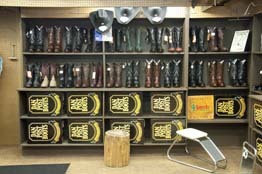 We have more than 500 pairs of cowboy boots in stock, and if we don't have what you are looking for, we will get it. We have all the top brands, sizes and styles - come visit our Western Store, located on our lower level. We also carry a marvelous selection of exotic shoes, belts and matching hats - everything you need for this time-honored American style. 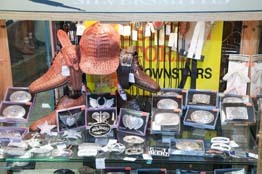 Come visit our Western Store located in our lower level. We have more than 500 pairs in stock, and if we don't have what you are looking for we will get it!